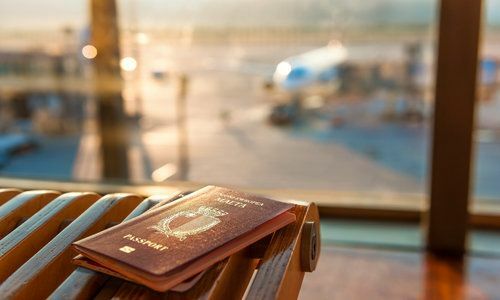 The world’s wealthy are becoming increasingly interested in investment migration programs amid growing security concerns over the cross-border sharing of financial data. With the introduction of the Common Reporting Standard (CRS), alternative residence or citizenship — and the fiscal and security benefits associated with it — is being taken far more seriously by ultra-high net worth individuals wanting to operate globally, reduce their exposure to external threats, increase their international flexibility and open up new opportunities for growth. The CRS, introduced by the Organisation for Economic Co-operation and Development (OECD), requires financial institutions to report account holder information to local tax authorities who, in turn, automatically exchange that information with the tax authorities where those account holders are tax resident on an annual basis. The first phase of the CRS was initiated in 2017 and is coming into force in almost every significant economy except for the U.S. The CRS has been widely welcomed as a positive, globally-coordinated move towards greater financial transparency and accountability. However, with the second wave of CRS adopters expected in 2018, there is a growing concern amongst wealthy individuals and their families that their information will be made available to the wrong sources and threaten their safety and security, especially in developing countries where the necessary regulations and safeguards are possibly lacking. Various residence- and citizenship-by-investment programs can provide a bridge for those who wish to physically relocate and become tax resident in a country where the vital controls and regulations around cross-border sharing of information are in place. Alternative residence and citizenship additionally provide access to a country where the overall situation is more favorable in terms of their security, lifestyle, and the quality of education available to their children. Driven by its reputation for stability, predictability, and security, Malta has become one of Europe’s leading investment locations. The island nation also provides numerous financial incentives for residence and maintains a tax regime that encourages economic growth. For international entrepreneurs and businesspeople, Malta boasts an advanced telecommunications network, as well as the support of many highly skilled professionals. A member of the EU, the country provides residence in a state that is neutral, stable and highly respected, with freedom of movement within the entire Schengen area. Malta offers both an attractive residence and citizenship program, giving individuals access to the country’s favorable tax environment and other benefits. The Malta Individual Investor Program (MIIP), of which Henley & Partners is the global concessionaire, provides the opportunity to acquire Maltese citizenship through a substantial contribution to the country. The MIIP is capped at 1,800 applicants and is the only program of its kind to be endorsed by the EU. A Maltese passport provides visa-free access to 167 countries, ranking 10th on the Henley & Partners 2017 Visa Restrictions Index. The Malta Residence and Visa Program (MRVP) offers the right of settlement in a centrally-located EU country with freedom of movement within the Schengen area, easy access to the rest of the world, excellent infrastructure in an international business hub, and outstanding educational opportunities. Individuals who are tax resident and permanently reside in Malta pay income tax on their worldwide income at progressive rates of up to 35%. However, individuals who are tax resident but not tax domiciled in Malta will only be taxed on worldwide income remitted into Malta. Malta does not levy inheritance tax, gift tax or wealth tax. While investment migration programs are an attractive option for wealthy individuals concerned about the security of their financial information, it is vitally important that the unique financial and lifestyle requirements of each individual are taken into account before making a decision regarding alternative residence. Consulting with professionals experienced in both tax planning as well as citizenship and residence planning can help wealthy individuals and their families make informed decisions regarding the future of their financial security and growth.